The number of passengers handled by Vienna Airport in the month of August 2018 rose by 11.9% compared to the prior-year month to 2,783,173 travellers. The number of local passengers increased sharply by 16.8%, whereas transfer passenger volume climbed slightly by 0.5%. The number of flight movements in August 2018 also showed a substantial increase of 8.9% year-on-year. Cargo volume at Vienna Airport showed a slight drop of 0.5% from the comparable level of August 2017. 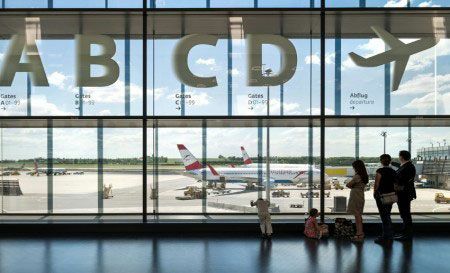 The total number of passengers handled by the Flughafen Wien Group (Vienna Airport, Malta Airport and Kosice Airport) in August 2018 climbed by 11.4% to 3.6 million travellers. The accumulated passenger volume in the period January-August 2018 showed an increase of 8.4% to 22.3 million. Vienna Airport also developed very positively, with the total number of passengers increasing by 6.8% from January to August 2018. The forecasts of more than 6% passenger growth at Vienna Airport and more than 8% for the Flughafen Wien Group could be clearly exceeded providing current trends continue.